Scotty's Home of BBQ catering services will make any event memorable. Our staff of professionals will ensure that your guests enjoy delicious food at your Location or Ours. Serving the Central New York and the North Country with over 30 years of experience. 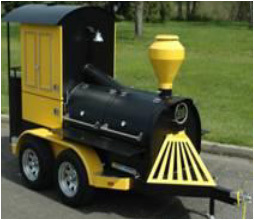 Scotty's Home of BBQ and Catering Company is the trusted name in catering. "No Job to Big or to Small For Us"
Looking for inflatable rentals for your next party or event?